One of the most popular questions we get asked when people discover that our children are adopted is “how much is it to adopt a child?” As the years have passed, I’ve gotten more accustomed to the question, but sometimes it’s still a bit hard to chew. What I’ve learned is that people are well-intentioned and curious. And any question they may ask opens the door for them to learn about adoption: the commitment, financial, and emotional things that go into it. You just never know who you’ll inspire. The cost of adoption will depend on the avenue of adoption you choose. There are three main options for adoption: domestic, international, and foster care adoption. Each avenue has unique challenges and requirements. Families choose their avenue for various reasons. Often, the cost of adoption is a valid and important part of the decision. So, here we are. How much is it to adopt a child? If you are called to adopt from foster care, the costs will be very low for your family. In most states, even the fees that you pay out of pocket will be reimbursable after adoption. The home study fees will be covered by the state as an encouragement to adopt waiting children. The need is great. The costs you will have upfront will include trainings, furniture, and anything you’ll need for the child you choose to adopt or group of children. If upfront costs are problematic, there are agencies and foster care organizations that help foster families accommodate the child or children they are adopting. In foster care adoption, you don’t always have the gift of time. Since children in foster care often come with very little, counties have a built-in budget for helping foster families cover the needs of the children in their home. Once the child/ren are in your home, you will receive a reimbursement payment to help with out-of-pocket costs for food, transportation, appointments. And these children will have a lot of appointments at first. It can seem overwhelming, but it’s worth the effort to make sure that your kids needs are being met the full extent. Once you move to the adoption phase, your child or children will be assessed for an ongoing adoption reimbursement. Some children do not qualify, and you’ll want to check with your caseworker and/or county on the details for your area. There are additional benefits for children being adopted from the foster care system. You’ll want to do your research to see if your child, or sibling group, qualify for education reimbursement, WIC (Women, Infant, Children) benefits, state health insurance, and so on. This information will likely be covered in your licensing classes, but if not, you can ask your caseworker, licensor, or agency. How much does it cost to adopt internationally? International adoption will be an exciting adoption experience. The requirements to adopt will be as different as the country you decide to adopt from. 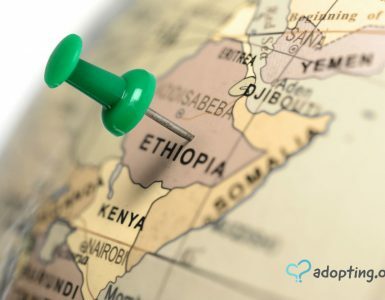 When you’ve finished research and decided you will want to contact a local adoption agency that specializes in home studies for international adoption, it will be important to search for an international agency as international adoptions have different home study requirements than domestic and foster care adoptions. Home study fees will vary by agency and can run anywhere between $1,500-$3,000. In addition, each country has their own fees. This will vary by country, but you’ll be able to get a detailed listing of exact costs from your agency. These fees are subject to constant change which makes giving exact numbers difficult. Individual country fees generally range between $7,500-$13,000. The costs of adopting internationally may seem high and overwhelming, but there are a lot of costs to consider in these fees. With country fees, dossier fees, post-placement services from an agency here in the U.S., there are also fees for paperwork, passports, and adoption fees within the country. You’ll also want to consider travel fees, lodging, and travel in-country sights you’ll want to see. Additionally, be sure to make memories while you’re in your child’s home country. It can seem daunting, all these fees, but in truth, it’s just what it takes to get your child home to you. We are fortunate to live in an age where there are various ways to fund an adoption. It can be a great way to alleviate the stress from how much it costs to adopt a child internationally. Some families fundraise to alleviate the strain of adoption fees. Whether you use a crowdsourcing site, social media, or make an item to sell to raise funds, there are plenty of options. While these are great options, it may not be enough to alleviate a large portion of your adoption costs. 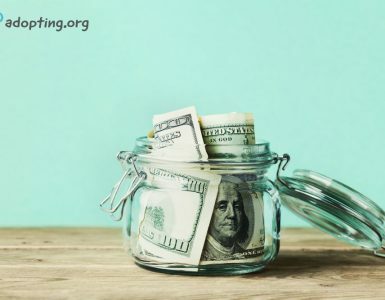 There are now a wide range of adoption loans, home equity loans, and in some instances, a generous friend or relative eager to help you make your dreams of adoption come true. A great place to start looking for your adoption loan is with your community bank or a local credit union. If those aren’t viable options in your area, you can search online for adoption loans. Be careful to make sure they’re safe and reliable options. The Better Business Bureau is always a good place to search for a company’s history. In addition, you’ll want to consult your tax accountant to verify the tax benefits that you’ll be able to claim concerning your adoption. Your accountant can advise you on the exact information you’ll need to document and retain for tax purposes upon completion of your international adoption. Adopting internationally will have a lot of twists and turns. I would suggest finding a family in your area to support you through the adoption process. They will be able to guide you down through the process, help explain the necessary steps and costs, traveling with a child, and navigating the visa and adoption process in your child’s country. Domestic infant adoption varies just as much as foster care and international adoption. There are peaks and valleys to each process. Depending if you choose to adopt independently or through an adoption agency will change how much it costs to adopt a child. So, how much is it to adopt a child domestically? When we began our over eight years ago, we had far fewer options. This was partially due to the area we lived in, our complete lack of knowledge, and just a different world. Nowadays, there are great options for those that choose to adopt domestically. You can choose a traditional agency, and depending on your geographical location, you may have a plethora of options, or you may need to get creative. When we chose to adopt another child, we couldn’t find a local agency that provided domestic infant adoption services. The local agency did, however, provide home study and post-adoption placement services for a reasonable fee. We started the process immediately. 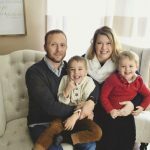 Since we couldn’t find an agency that was actively seeking potential birth mothers, we created a social media page and began to spread the word that we were seeking to adopt again. We had a few people contact us via our social media page. Some have been obvious scammers. Some have been people seeking to find homes for children of disrupted adoptions. And a couple were actual potential birth moms seeking to know more about us, our family, and our desire to adopt. If you choose to seek a potential birth mother or parents, you can find many listing sites where you can list your profile for potential birth parents to search. If you choose to go this route, it will be considerably less than an agency adoption. You will need to contact an agency for a home study and post-adoptive services. Post adoption services are required for a legal adoption. With legal fees, a private domestic adoption ranges from $5,000-$7,500. These numbers of course depend on the agency and the fees they charge for their services. The cost will also depend on whether you agree to cost of living expenses, medical expenses, and other pregnancy/child-related fees. You will want to consult your attorney to make sure that you are within the bounds of the legal parameters in your state. There will be additional fees at finalization for birth certificates and copies of the adoption decree. However, these fees generally only amount to about $200 depending on the number of each document you request. If you choose to adopt using an agency, you will be assured that your legal fees are covered. 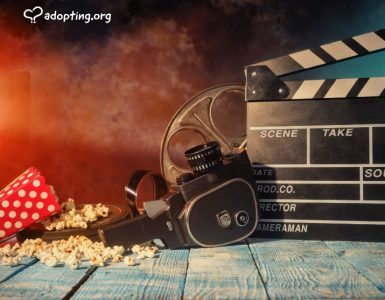 Another bonus of using an adoption agency is that they generally have on staff counselors to help your potential birth parents navigate the difficult emotions of placing a child for adoption. In my personal experience, I have found this benefit to be especially helpful. Additionally, an adoption agency is prepared to market and contact potential adoptive parents. You’ll want to be sure to do your research and choose a reputable agency. The best research is a happy adoptive family with healthy and happy birth parents. An adoption agency can also help facilitate the birth and subsequent hospital stay. Our agency was instrumental in communicating the needs and wishes of our son’s birth mom. Our worker was able to advocate for us and our son’s birth mom, keeping us all in communication when face-to-face was not possible or desirable. In addition, an adoption agency will generally have 24/7 communication available for parents considering adoption. It is a difficult decision, and sometimes waiting until morning seems unbearable. In some instances, agencies can provide clothing and toiletries to mothers considering adoption. In other cases, they can help with a place to live, expenses and other small luxuries to help make the placement of a child less stressful for the birth family. Some agencies provide the legal representation that each party needs. Others will require you to retain an adoption or family law attorney. 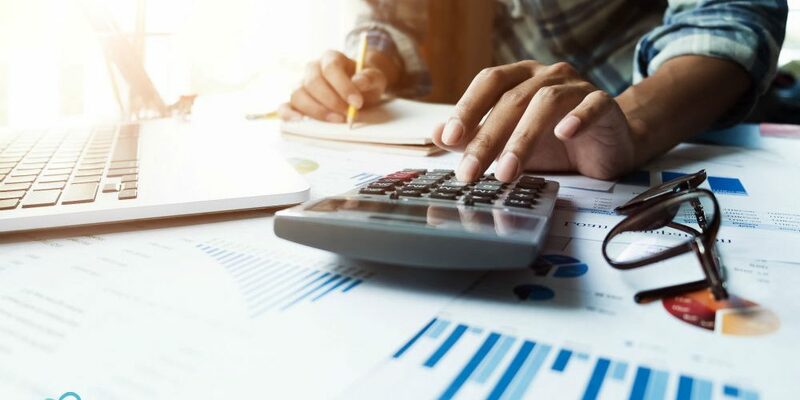 These are costs that you’ll want to factor in when you’re deciding on financing or fundraising. You’ll want to call a local attorney and confirm fees. In most cases, they range between $1,500-$3,000. A typical domestic adoption can range anywhere from $15,000-$50,000. The cost will be determined by geography and the services offered to the adoptive and birth families. As with international adoption, you can choose to fundraise for your adoption. You can choose to crowdsource or make and sell t-shirts, jewelry, or other goods. Do a bake sale or have friends donate their gently used household goods and clothing for a huge tag sale. There are many options available to finance an adoption, and the best place to start is with your hometown bank or credit union. You can also take advantage of the adoption tax credit following the finalization of your adoption. You will want to contact your tax accountant to ensure that you are documenting and saving all receipts for reimbursable expenses. You’ll want to make sure that you check the regulations for the year that your adoption is finalized. Funding an adoption can seem overwhelming. The key is to choose the type of adoption that best fits your calling and your financial situation. You will find positives and negatives to any type of adoption. Once you decide, you’ll be able to research all your options for funding your adoption. Soon you will be able to answer the burning question, how much does it cost to adopt a child?